Discover a family paradise at Aulani, A Disney Resort & Spa in Ko Olina, Hawai, there’s something for everyone to enjoy. Off the coast of Oahu, Aulani sits on 21 beautiful acres. You are far enough from Waikiki island’s hustle and bustle, yet close enough to enjoy the island. Included in your stay are several pools, beach activities, entertainment for the kids, family, and adults. Plus, crafts, walking tours and of course Disney Characters. Interested in getting a Quote? 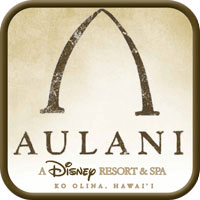 Click the Button to get a FREE, NO OBLIGATION Quote for your Disney Aulani Vacation.